Panoramic USB Video Conferencing Camera with their Intelligent Zoom included. 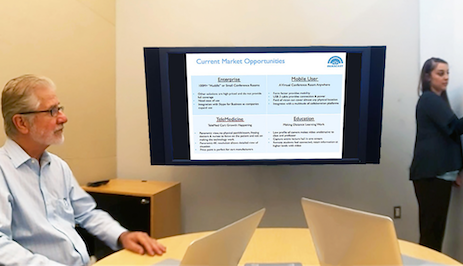 Want to Turn your Meetings Into Stunning Displays of High Definition 4k With 180 Degree Of Viewing (And No Hard Install or Changing From Four Current Software)? Find out what you have been missing. This is one of our favorite new projects that we’re the most excited about. 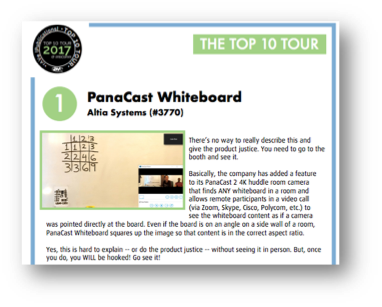 We’ve been working closely with the Altia Systems (maker of the PanaCast®) team for the past 2 years to get this absolutely perfect for you. We were fortunate enough to be one of the early beta testers and have been totally blown away by their new 4K camera. We can personally attest to this camera being a true game changer for so many applications beyond the huddle room. The PanaCast 2 is the first plug-and-play USB video camera system. It delivers a Panoramic-4K quality video stream with high fidelity stereo audio and real-time stitching video. PanaCast 2 works with any popular video conferencing services, transforming how you see and connect electronically. Intelligent Zoom enables PanaCast 2 to automatically and dynamically adjust the camera field of view. It is designed to include all the participants in meetings and give you an efficient, inclusive video collaboration experience. "Sure, that looks great...but it's probably difficult to set up and requires a ton of expensive hardware?" Actually, to out suprise when we tested it, you'll have this set up in few miuntes with it's simple plug-and-play USB compatibility that connects directly to your PC or MAC. It’s also extremely easy to display by simply parking two widescreen monitors next to each other. It delivers an unmatched panoramic 4K quality video stream, 180° wide by 54° tall, along with stellar microphones for capturing everyone’s image and voice. It's as close as it gets to sitting in a meeting room. There's nothing else like it. The ultra-low latency, multi-image camera is changing the game of video conferencing and telepresence. It’s increasing productivity, relationships, and profitability all over the world. That alone is worth far more than the price you’re paying. With this powerful investment, you can create a truly immersive experience no different than systems that cost tens of thousands of dollars…for a fraction of the price! We get it. Typical meeting spaces aren’t easy to cover with standard video technology. Whether you’ve got the typical “bowling alley” meeting room or an odd shaped workspace, remote workers are often left with a bad viewing angle and can’t participate the way they should. Either the camera is zoomed in too far to cover a few speakers (which leaves everyone else off camera), or zoomed out too far to cover the room (making the people presenting too small to see clearly). This solves both problems. Rather than dealing with bulky, complicated, finicky equipment…you’re getting a unique design that’s sleek, small, and extremely portable. Even at it’s size, it’s more than powerful enough to give you and your participants a fully immersive video conferencing experience, unlike any other camera on the market. Your meeting also can take advantage of simultaneous independent PTZ (Pan, Tilt, Zoom) control (this is HUGE for participants, we were literally blown away by this). In other words, this gives all your participants the visual perspective and control of literally being there. They can see what they want clearly, can zoom in or out freely, and more. You can’t find anything else like this. 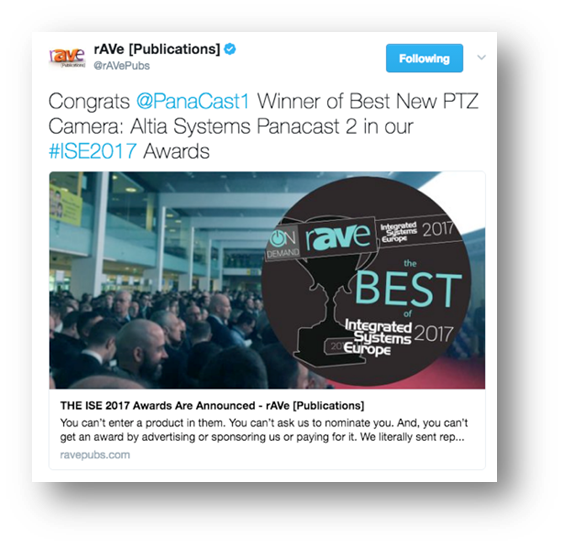 Altia Systems®’ PanaCast® 2 camera is the industry’s first panoramic, 4K, plug-and-play, USB video camera. There will be imitators, but they can’t deliver the exceptionally clear video (with a human visual perspective) that’ll help you and your team to collaborate more effectively, improve productivity, and take what you’re doing to the next level. 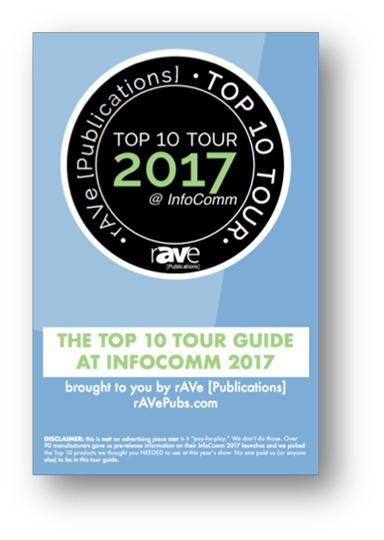 Best of all, you’ll be able to easily integrate it into just about any workspace because of its wide field of view and simple plug-and-play interface. With USB 3.0 and UVC support, this truly is future-proofed against the next generation of interface options…buy this now and you’re set for years to come..
Not only are you getting the entire picture with unmatched controls, you’ll also get a full high definition image resolution of 3840x1080. This comes out to about half the height of a 4K image, but it’s the same pixel density and quality. In other words, you’ll be getting a perfect 32x9 aspect ratio for dual displays (see above, you likely already have this equipment) and will have the ability to zoom in while maintaining HD clarity on any HD display. This means you don’t have to buy additional equipment or hire tech wizzes to help set it up. It couldn’t be easier. Vidyo - Unbeleivable image quality with Vidyo! Zoom - Our personal favorite! It’s too easy to install…Seriously. Your laptop, Mac, or PC will automatically recognize and communicate with the PanaCast® camera just as it would any other plug-and-play USB webcam. No software, no learning curve; just plug it in and you’re set. You’ll see this camera listed along with your other camera options (if you have multiple cameras) in the standard video software option menus. Virtual Pan Tilt Zoom Application..This is REALY cool. 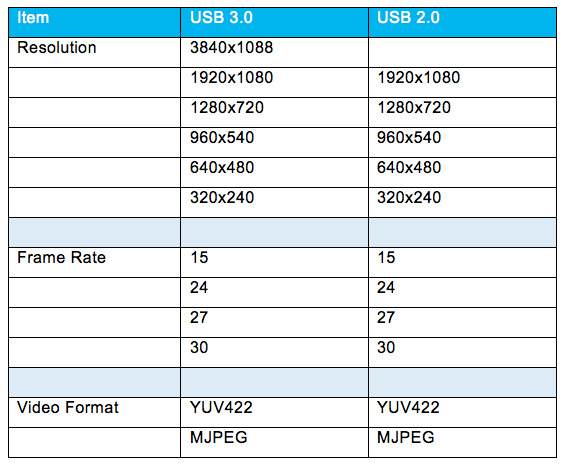 What kind of resolutions does the PanaCast 2 deliver to your PC? What do you get when you purchase the PanaCast 2? How to Setup the PanaCast 2 Camera from Altia Systems on Vimeo. How to Download, Install and Use the PanaCast ePTZ App on Windows from Altia Systems on Vimeo.